Powell saved the world, at least on Friday, but below point from Manoj Hemrajani makes a valid point worth considering. 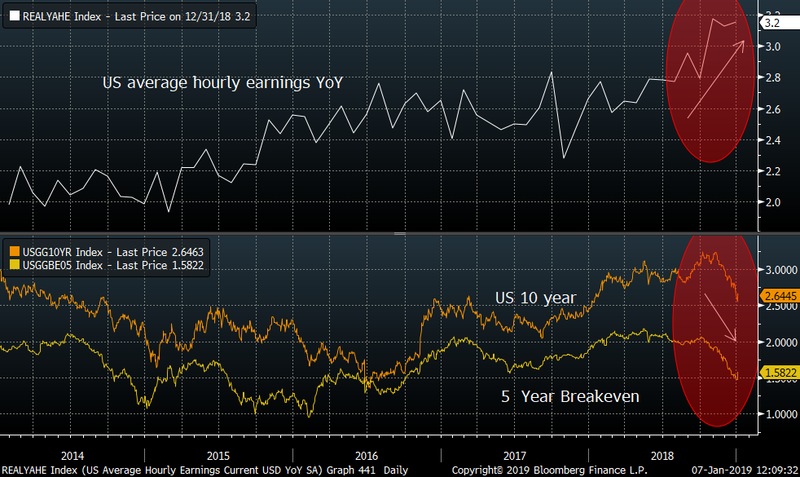 Below charts showing Average Hourly and the US 10-year yield as well as the Fed´s favourite inflation chart, the US 5-year breakeven line. Inflations is vanishing as there are too many youngsters not in the labour force. It surely looks like a disconnection to us, so be sure to pick the relevant one.